Sirio Power Supply (SPS) is a state of the art unit that makes it possible to broaden the functions of an on-grid PV system equipped with AROS Solar Technology inverter and to create an off-grid system. Thanks to energy storage, sized according to the load requirements and the battery life, this system allows energy produced by renewable sources to be stored and used during the evening or in poor sunlight conditions. All this makes the system independent from the grid. This is the ideal solution that allows you to manage the consumption of the energy produced by your PV system. The battery is charged through PV inverter or by the grid/generator set. A sophisticated Battery Care System controls and manages the batteries to provide the optimum current recharge and consequently safeguards the efficiency and the reliability. This product is compatible with the most common batteries for photovoltaic applications characterized by a high number of charging and discharging cycles. In order to optimize performance, the Battery Care System also makes it possible to set voltage, current and charge time parameters manually when using VLA or Ni-CD batteries. SPS unit can be installed both where the grid is available and in remote, rural or isolated areas, where there is a high demand of energy and the grid is unreliable or ensured by the generator set. In other words, in any place requiring energy storage from inexpensive sources, such as the sun. For On-grid application when the PV field production exceeds the load requirements and the batteries are charged, the system can convey the excess energy in the grid. 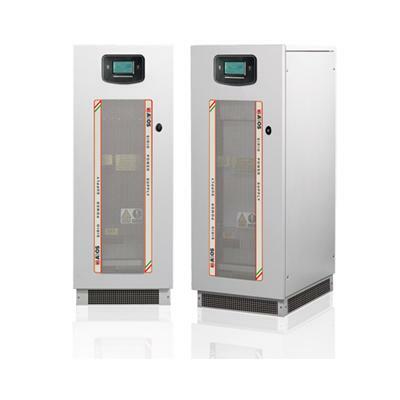 Sirio Power Supply range is available from 10 to 200 KVA.